I always like to get a manicure & pedicure before I jet set anywhere. But, I also like to bring a bottle of nail polish with me as well, just in case my polish chips while I am away. 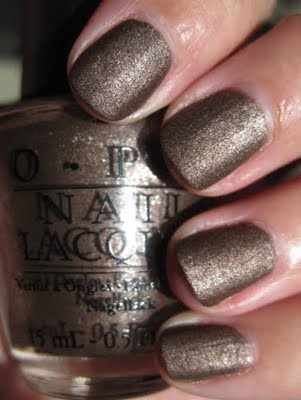 I am just loving the NEW Suede OPI nail polish. I am going to see if my local Harmon has any, but if not, I know I can order it online as well. Isn't it cool? You can pick one up for about $8.50. This one below is called Suzi Skies in the Pyreness. 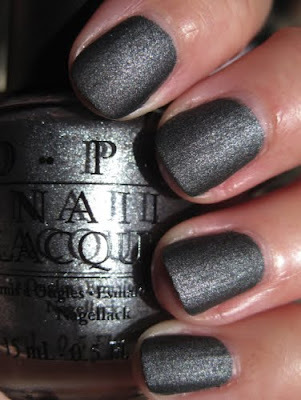 This color is called You Don't Know Jacques.